The North Carolina Coastal Federation and partners are hosting an open house featuring the Lower Cape Fear River Blueprint and recent research on GenX and other unregulated compounds. The free event is at the UNCW Center for Marine Science on Tuesday, May 22, 4-7 p.m. The Lower Cape Fear River Blueprint and plans will be unveiled to the public, who will have a chance to ask questions and learn more about the restoration plans for the region. Starting at 5 p.m. will be three 30-minute presentations. 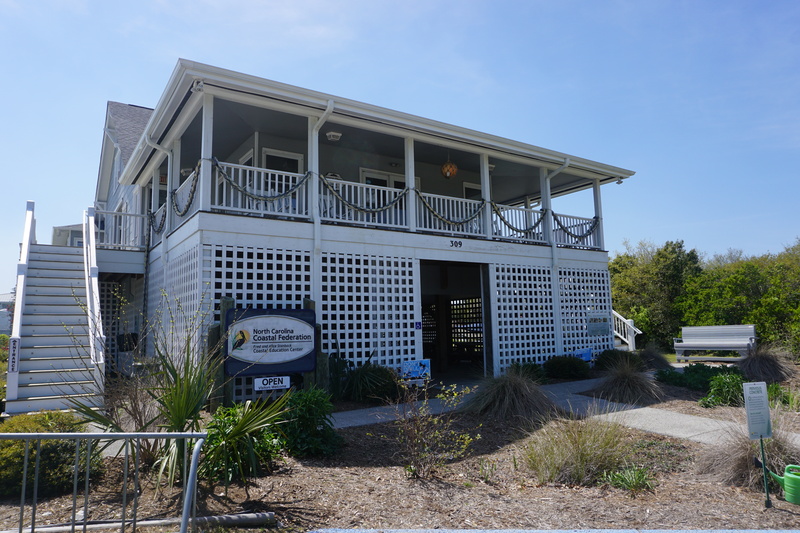 Tracy Skrabal, coastal scientist and regional manager for the federation’s Wrightsville Beach office, will introduce the Blueprint and outline its strategies and focus areas. Faculty from UNCW’s Department of Chemistry and Biochemistry will provide an update on current research on GenX compounds in the sediments of the Cape Fear River; the accumulation of these compounds in oysters; and the ongoing analysis of Cape Fear River water samples. The Lower Cape Fear River Blueprint is a collaborative planning effort, led by the federation, to protect, manage and restore the important estuarine and riverine natural resources of the lower Cape Fear River. The Blueprint is supported by The Orton Foundation, an affiliate of The Moore Charitable Foundation. This work expands upon existing efforts by the Cape Fear River Partnership and Cape Fear Arch. For more information, contact Jessica Gray at jessicag@nccoast.org or 910-509-2838. More information is also available at nccoast.org/capefear. Refreshments will be provided at the open house. The open house will be preceded by a meeting of the Cape Fear River Partnership from 10 a.m. to 3 p.m. at the same location. For more information about the partnership meeting, email Dawn York at dyork@moffattnichol.com or call 910-612-1152. On May 23 the Cape Fear River Assembly (CFRA) is holding its 45th annual educational conference with a theme of “Working Together to Protect the Cape Fear River.” Cost of attendance is $30.